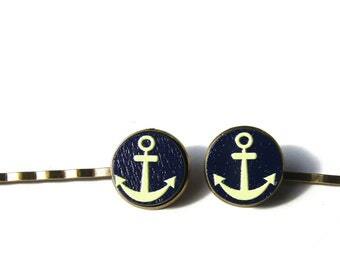 Set of 2 bobby pins. 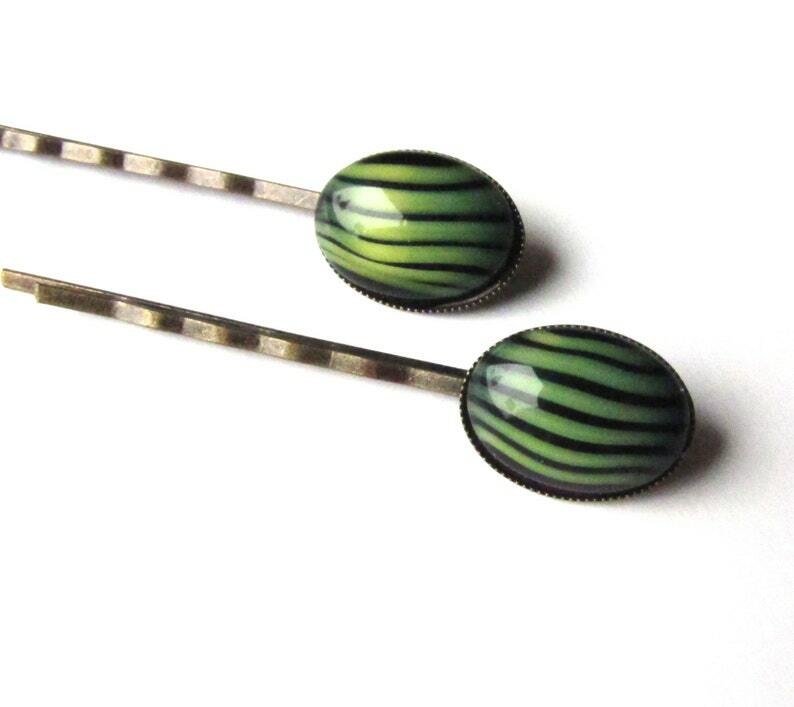 I have used vintage opaque glass cabochons and attached them to new antiqued bronze bezeled bobby pins. They have black and slightly reflective green random stripes. It reflects similar to tiger eye stones. A fun wild animal style accessory. Decorative portion is approx. 3/4" by 1/2" (18x13mm).